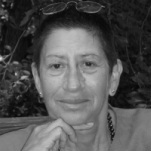 Elaine Heumann Gurian is a consultant/advisor to a number of museums and visitor centers that are beginning, building or reinventing themselves. Gurian is a teacher, trainer and lecturer at many academic and in-service programs of museum studies worldwide. Routledge published her volume, Civilizing the Museum: the Collected Writings of Elaine Heumann Gurian and she is currently on the editorial board of the journal, Curator. 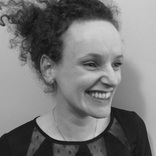 Charlie Barr is founding director of Studio MB, an Edinburgh based, exhibition design company working with museums, heritage destinations and brand experiences. Charlie’s primary role is the creative direction of the interpretive narrative, AV development, digital interactives, graphic design and branding. His aim is to let the visitor feel the history all around them - to hear, see and touch the past and relate this past to their own present. 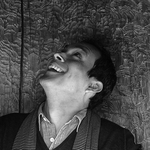 Nick Bell is an editorial designer with a curatorial concern for the voice of interpretation and interactivity. His longstanding creative partnership with Casson Mann has produced BNFL Visitors’ Centre and Atmosphere for the Science Museum as well as the Churchill Museum and the First World War Galleries for the Imperial War Museum. 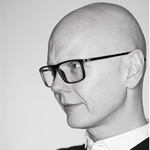 He is UAL Chair of Communication Design and Visiting Critic at the Royal College of Art. 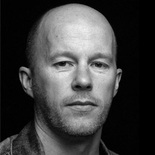 Frans Bevers is founder of OPERA Amsterdam, a design firm with an international portfolio in museum/exhibition design and interior architecture. 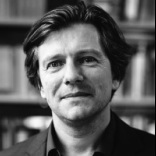 He has been Head of the Department of Architectural Design at the Gerrit Rietveld Academy Amsterdam for many years and is currently teaching at the Design Academy Eindhoven Masters Program Information Design. He works as designer, advisor and curator. 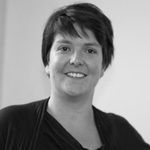 Susanne has 14 years experience in the museum sector specialising in education and the visitor experience. She is currently the Education and Audience Development manager of the British Music Experience – the UK's interactive museum of contemporary culture. 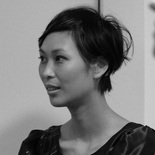 At CSM she teaches Experience Design and is an associate lecturer for the Narrative Environments MA. She is also working on a UAL project exploring visitor engagement with the Design and Innovation MA at Ravensbourne College. Clare Brown is an exhibition designer and graphic designer with 15 years experience creating interpretive exhibitions for history museums. She is Chair of the MA/Exhibition Design Program, and Assistant Professor of Exhibition Design at the Corcoran College of Art + Design, Washington DC. 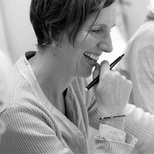 Clare's areas of interest and research include: the intersections of space and meaning as well as designing for audience engagement through multi-generational dialogue. Dinah and Roger established Casson Mann in 1984. Since 1992, they have specialised in museum and exhibition design. Award winning projects range from the object-based British Galleries at the V&A, to the highly technological Churchill War Rooms. Dinah is a trustee of the Creative Education Trust, The Charleston Trust and, in 2007 she was elected a Royal Designer for Industry. 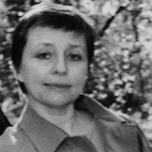 Zette Cazalas won her first international competition with the museum of the Basque Country and the History of Bayonne in 1993 (delivered in 2001). 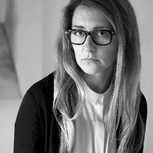 In 1995 she created the Zen+dCo agency in Paris. Along with architect Jesus Pacheco, Zen+dCo designs large scale exhibitions and the permanent displays for museums. Currently her agency is working with the Musée de l'Homme in Paris and the Musée des Confluences, Lyons. 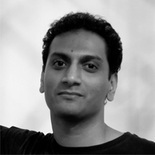 Siddhartha Das founded the multi-disciplinary Studio in 2002. He curates and designs projects that combine artisanal approaches with the industrial. 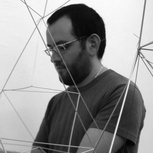 He is interested in responsible design and was awarded the British Council’s International Young Design Entrepreneur . The Delhi-based Studio is currently working on museums and thematic exhibitions, installations and spaces in public parks and airports. He is a visiting faculty at National Institute of Design, India. Jocelyn worked in the museum sector for 15 years where she gained experience of museum education, community engagement, consultation, exhibition development and museum management. This informs her roles as Director of the Research Centre for Museums and Galleries (RCMG), School of Museum Studies which carries out research which is sector facing and focused around enhancing the social, cultural and learning value of museums. Much of her work has focused on the impact of museum interventions on diverse audiences. 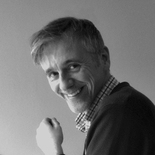 Tom Duncan is an architect and media designer specialising in all aspects of design from masterplanning to media production for museums and heritage sites. Combining architecture and time based media he is presently working for clients such as the Historic Royal Palaces in London and the State Museums of Berlin. 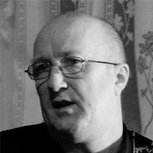 Together with Noel McCauley he is a founding member of the studio Duncan McCauley. In 2000 Stephen Greenberg founded Metaphor, a company that specializes in the design and master planning of museums, exhibitions, historic houses, and cultural quarters. Metaphor blends both the ‘hard’ thinking (to do with architecture and design) with the ‘soft’ thinking (of story and concepts). Stephen has overseen the making of major blockbuster exhibitions at the British Museum, the Victoria and Albert and the Guggenheim Bilbao. Peter Higgins trained as an architect at the Architectural Association and has worked for BBC TV, Imagination and West End Theatre. 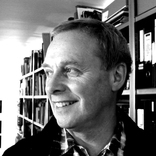 In 1992 he formed Land Design Studio, which creates museums, exhibitions and visitor experiences. He is interested in the role of museums as placemakers and in the integration of architecture, scenography and communication to support the concept of ‘Total Media’. design studio specializing in multidisciplinary exhibitions and interiors. The subjects of their exhibitions range from architecture, the history of psychiatry and children’s books, to art for teenagers and micro-organisms. He is the co-author of Engaging Spaces: Exhibition Design Explored and Narrative Spaces: On the Art of Exhibiting. 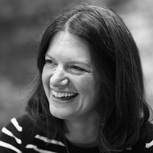 Dr Suzanne MacLeod is Director and Head of the School of Museum Studies at the University of Leicester. 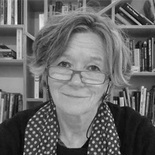 She undertakes teaching and research on museum architecture and design and is editor and author of Reshaping Museum Space: Architecture, Design, Exhibitions (Routledge 2005), Museum Making, Narratives, Architectures, Exhibitions (Routledge 2011) and Museum Architecture: A New Biography (Routledge 2013). 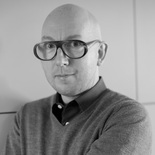 Noel McCauley is a Berlin based architect with extensive experience in museum planning and exhibition design. In 2003 together with Tom Duncan, he founded the multi-disciplinary studio Duncan McCauley, with the aim of exploring the narrative potential of combining architecture and audio-visual environments. The studio has completed a wide range of international projects and regularly participates in conferences on museology and interpretative design. Kathrin has a very broad range of experience from exhibition concept, interactive design to content development and interpretation planning. At Atelier Brückner Kathrin’s role branches from leading the content development for major international projects like the King Abdulaziz Center for World Culture in Saudi Arabia to creative direction of competitions. Her academic and interpretative skills enable her to translate complex content into easy accessible pieces unfolding in immersive spatial atmospheres. 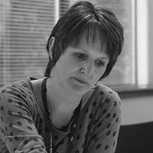 Rachel is Metaphor’s learning, content and interpretation specialist. She works with clients during the masterplanning and exhibition design process, developing the story through a range of storytelling tools. 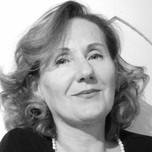 She advises on the learning value of design and writes exhibition text and guidebooks. Rachel’s background is as a published novelist, university teacher and archaeologist. Rachel is also founder and editor of the online museum magazine, The Museum of Marco Polo. Christopher Muniz leads diverse teams in the development of narrative environments (some full of sunshine, some with plenty of rain). He is a storyteller and creative director in both the US (primarily California) and in the UK where he is design principal of Studio MB, an award winning interpretive planning and exhibition design firm. He is interested in the audience engagement of non-museum environments (dining, entertainment, gaming, retail and places of worship) and how these can influence exhibition design. Britta Nagel, partner at ATELIER BRÜCKNER, translates content into space. As an architect she manipulates the fine line between architecture and exhibition design. She has taught as guest lecturer at many universities. Numerous competitions, concepts and drafts, which she developed, have been realized at ATELIER BRÜCKNER including the Rautentsrauch-Joest-Museum in Cologne, which was awarded the European Museum Award 2012. Jesus Pacheco is a Paris based architect and exhibition designer with 20 years practice in 3D visualizations and digital design. In 1998 he joined Zen+dCo. He organizes and carries out updates to the research and development for the agency. Its high level of knowledge and practice in design approaches applies at different stages to influence the performance aesthetic, technical and reliable concepts. Dave Patten is Head of New Media at The Science Museum, London, where his role includes managing all aspects of new media and AV, from conceptual design, prototyping and production to project managing external developers and production companies. Dave was the technology architect and technical project manager for the Science Museum's Wellcome Wing and Dana Centre, which opened in 2000 and 2004 respectively. Franco Rolles is an architect whose work revolves around the creative conception and physical and functional implementation of N!03 [ennezerotre], the design studio that he runs with his partners. His sustained interest in using multimedia as a construction material focuses on the creation of a narrative space between contents and audience. Jana Scholze is Curator of Contemporary Furniture at the Victoria and Albert Museum in London where she has worked on important acquisitions and various exhibitions, including Cold War Modern. Design 1945-1970 (2008). 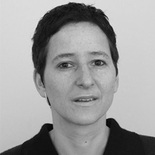 She is regularly invited as a lecturer and critic, and publishes on design history and theory internationally (including Medium Ausstellung, Transcript 2004). She supervises PhD students at the Royal College of Art. Ulrich Schwarz began as an independent designer and together with Aurelia Bertron founded Bertron Schwarz Frey. He is Dean of Studies at the Berlin University of the Arts and teaches design fundamentals, visual communication and exhibition design. He has designed exhibitions for the KZ-Flossenbürg-Memorial, State Museum Greifswald, and Museum of Natural History Berlin. 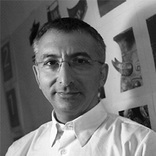 He is the author of Designing Exhibitions and Project Scope Exhibition. Adam Scott is the creative force behind FreeState, the design company responsible for storyboarding some of the world’s biggest brands. His philosophy and working practice is guided by a lifelong love for English Landscape Gardening and Casino Architecture, two hugely effective forms of brand conscious storytelling. Adam is the recipient of multiple design awards, including, most recently, a Cannes Lions Gold. Katherine Skellon is a Creative Director at Event Communications. She has designed UK and international museums for 20 years. She believes in humans’ deep need to commune with objects, and aims to design spaces that open us to their evocative worlds. 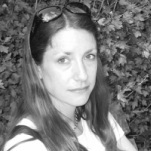 Katherine has a range of teaching experience and was a co-founder of the Central St Martins Narrative Environments MA. 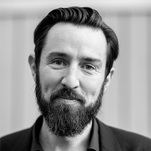 Damien is Head of Innovation at digital design studio ISO. ISO is a multiplatform practice that develops content-rich projects using immersive and interactive media for Museums, Brand and Consumer Experiences, Television and Online projects. 2013 saw ISO win the SXSW Interactive Award for Art, Webbys Honorarium, the Museum and Heritage Award for Innovation and the Design Week Award for Interaction Design. Pigalle Tavakkoli is a Creative Producer designing participatory event experiences, for museums such as the V&A, Wellcome Trust, Science Museum, Garage Centre for Contemporary Culture (Moscow). She is also a consultant on the converging space between the digital and live experience, and has advised cultural organisations such as the English National Ballet and the National Portrait Gallery. 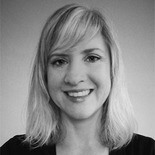 She also teaches Experience Design to brand managers, product designers and marketers at the University of the Arts. Sam Willis is a Creative Director who specializes in visitor experience. She trained at Central Saint Martins and the Royal College of Art and, since then, has amassed over 15 years experience of working within museums and visitor attractions, both on the consultancy and client side. Sam brings with her an unrivaled knowledge of visitor and user experiences, and possesses the exceptional skill of being able to ‘get inside the mind of the visitor’. Jen Wong is Director of Guerilla Science. She specializes in devising participatory events inspired by science in unusual spaces, such as the muddy festival field, underground WW2 bunker or refined art gallery. She has brought stories to life in content-rich narrative environments for over 8 years, and has worked in event and exhibition concept development and delivery at the Dana Centre, Science Museum and Natural History Museum.